Casa Brasil collective design show. 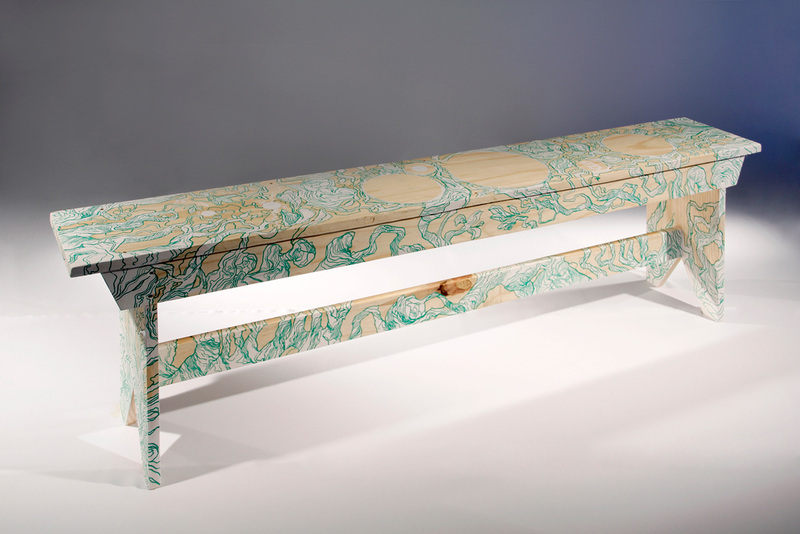 The Casa brasil – Design and business promoted the project ‘Banco de Ideias” (Idea Bench) inviting 50 studios and designers who have customized a traditional wooden bench from Bento Gonçalves. 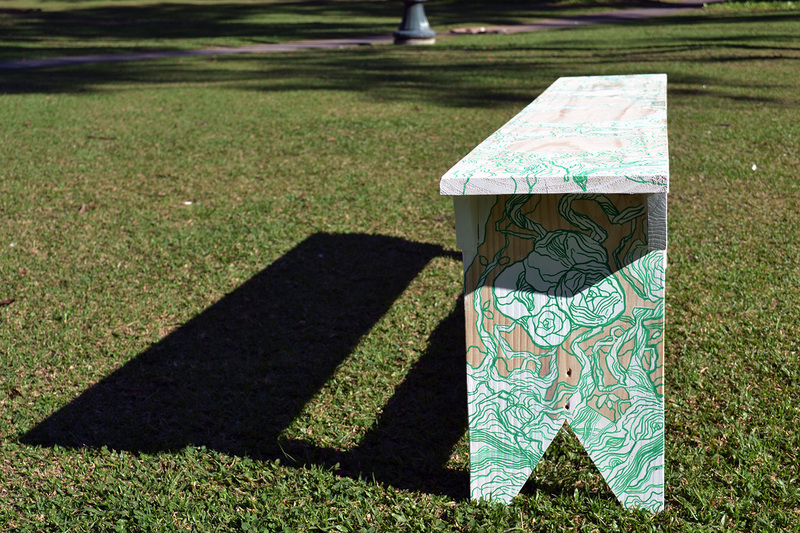 The Benches were exposed by the city as disclosure of the Casa Brasil fair. 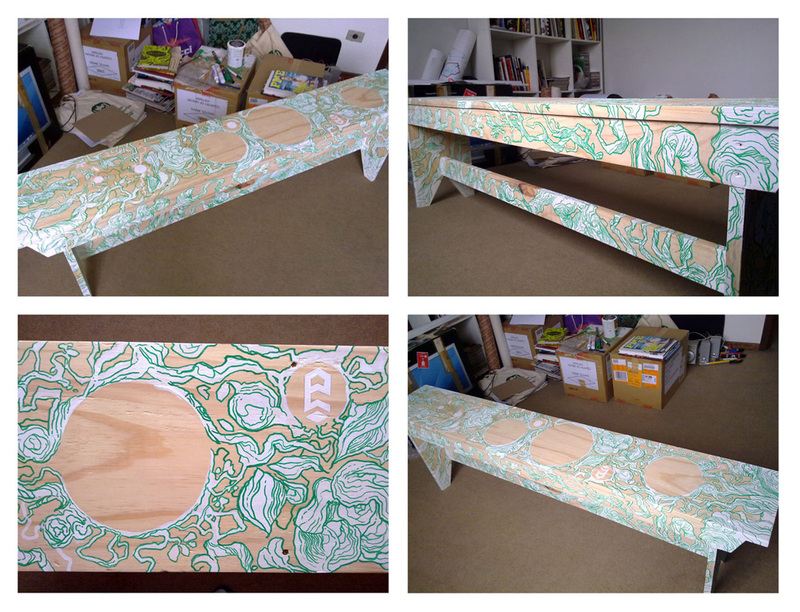 This is the Evergreen Terrace bench by Renato Faccini.